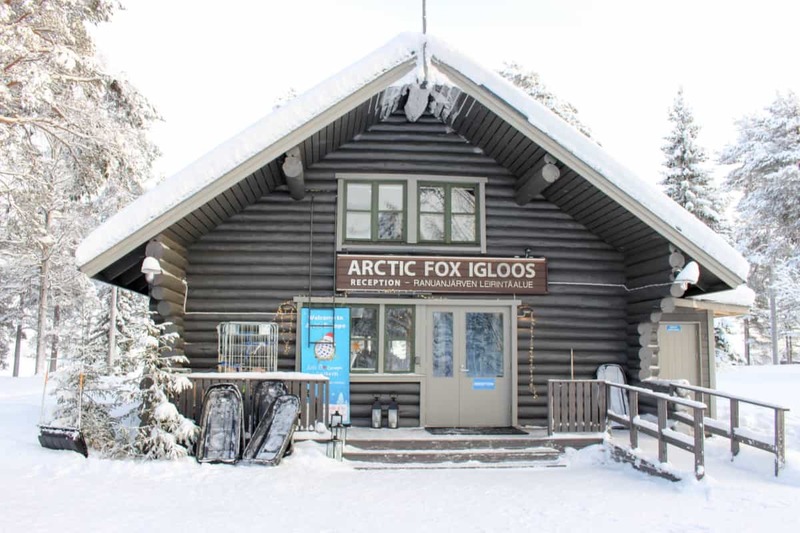 Visit Arctic Fox Igloos if you want to experience a real winter wonderland experience in Lapland. Are you thinking about booking a holiday here? Think no longer and reserve straight away! I really enjoyed my time there. 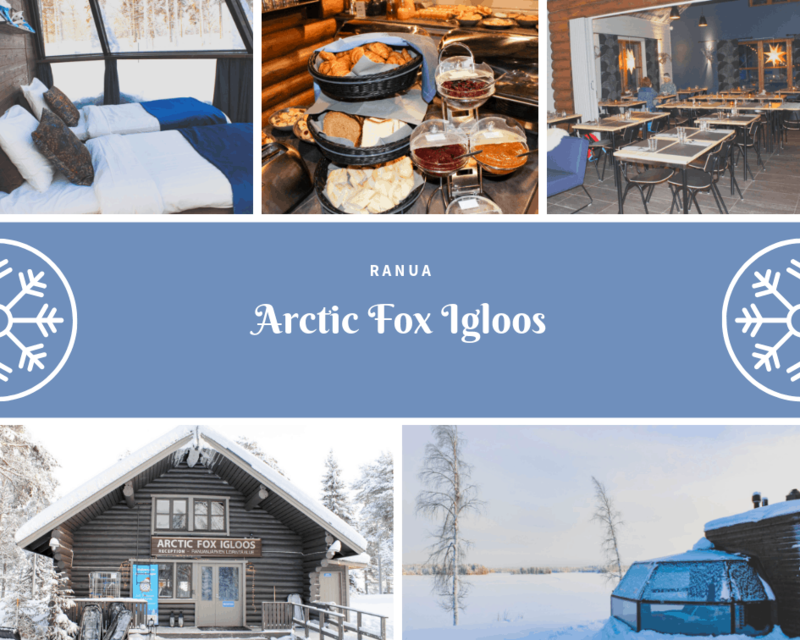 Arctic Fox Igloos are located on the naturally beautiful, peaceful shore of lake Ranuanjärvi, far from disturbing city light pollutions. 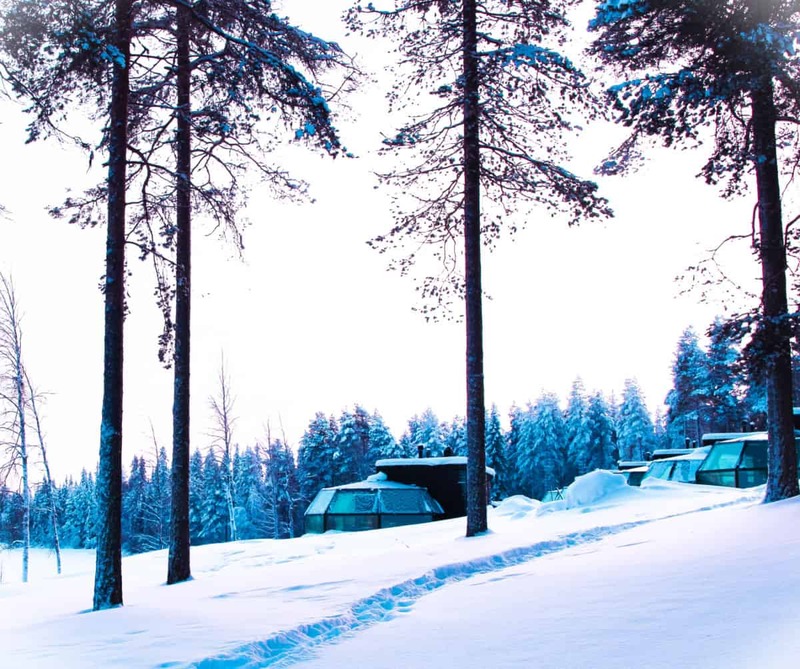 Each Luxury Glass Igloo offers an unobstructed view to the far-reaching open lake, and the northern skies, where the Northern Lights usually appear. The brand new Glass Luxury Igloos were a lovely surprise. So comfortable and warm with underfloor heating and a special system to heat the glass roof to keep it clear for night viewing of the stars. The igloo was warm and cosy, with my own Sauna inside and even a little kitchen area! A magical walk through the trees to breakfast in the Restaurant, see the photo collage above. The food was excellent and plentiful. I particularly enjoyed the peaceful setting right by the lake, makes for a truly relaxing stay. Bright and early the Guide collected me to transfer over to Ranua Wildlife Park and an action packed fun day. Everything is beautifully organised with a strong emphasis on safety. 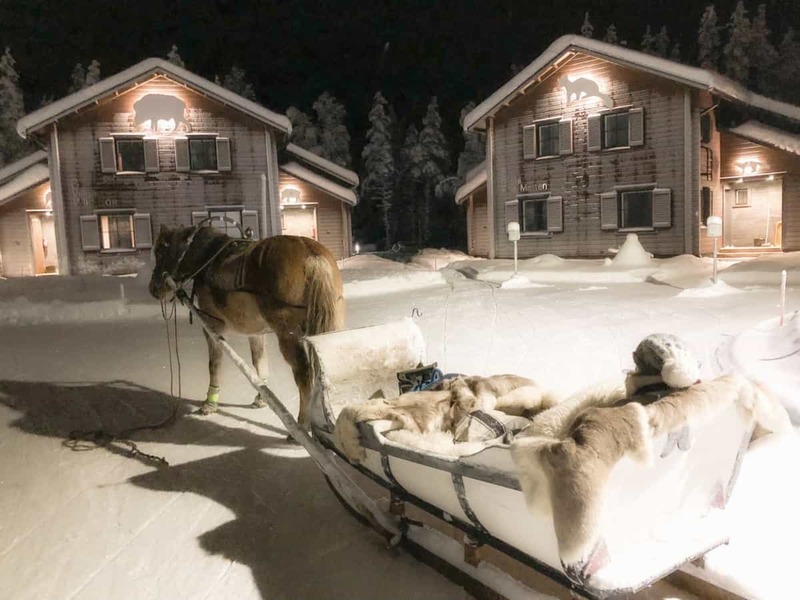 A luxury resort i Lapland! I met the huskies, who were super friendly and beautifully looked after, you can book a Husky Safari with these gorgeous dogs! 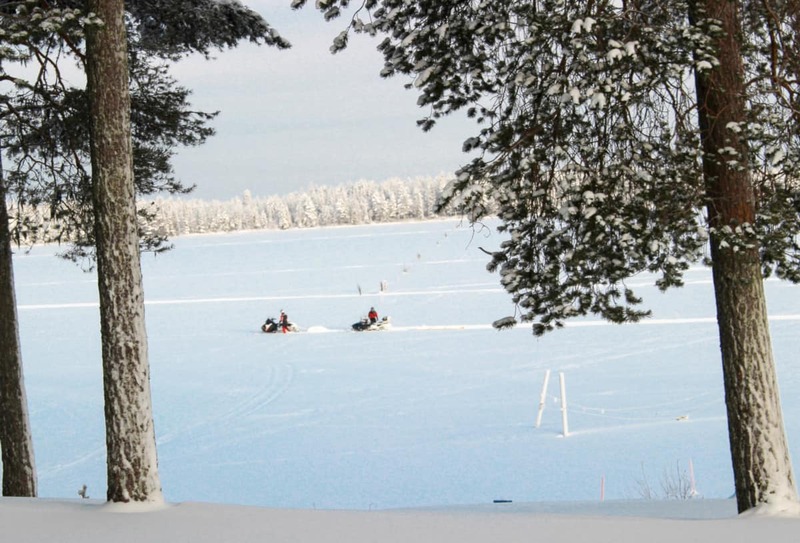 My first trip was on a Snowmobile, riding through the snow over the frozen lake and to the Varaanporotila Reindeer Farm. 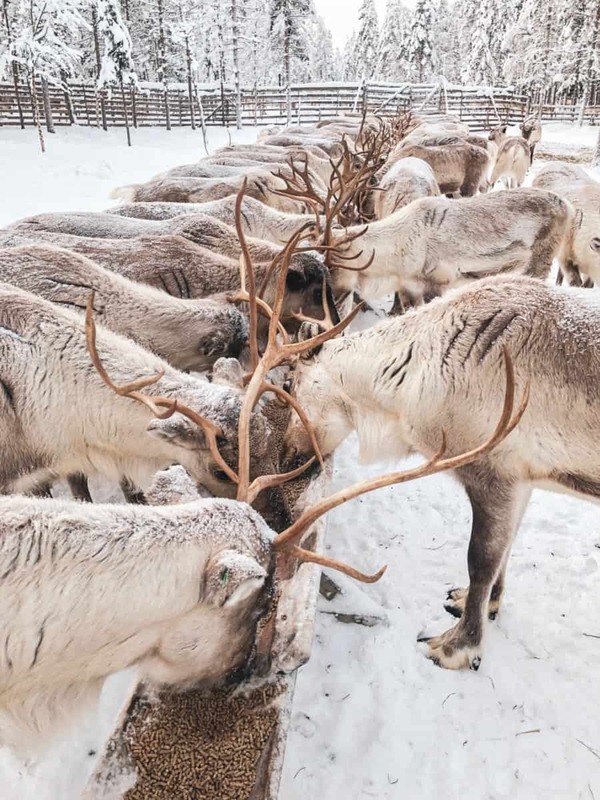 Such a pleasure to meet these lovely Reindeer close up and watch them enjoy their breakfast, then have a little ride in a Reindeer Sleigh! Can you imagine bringing your kids here before Christmas? What a treat! Perfect for adults to have an adventure too! We enjoyed lunch by a roaring fire and then set off back to Ranua Wildlife Centre. 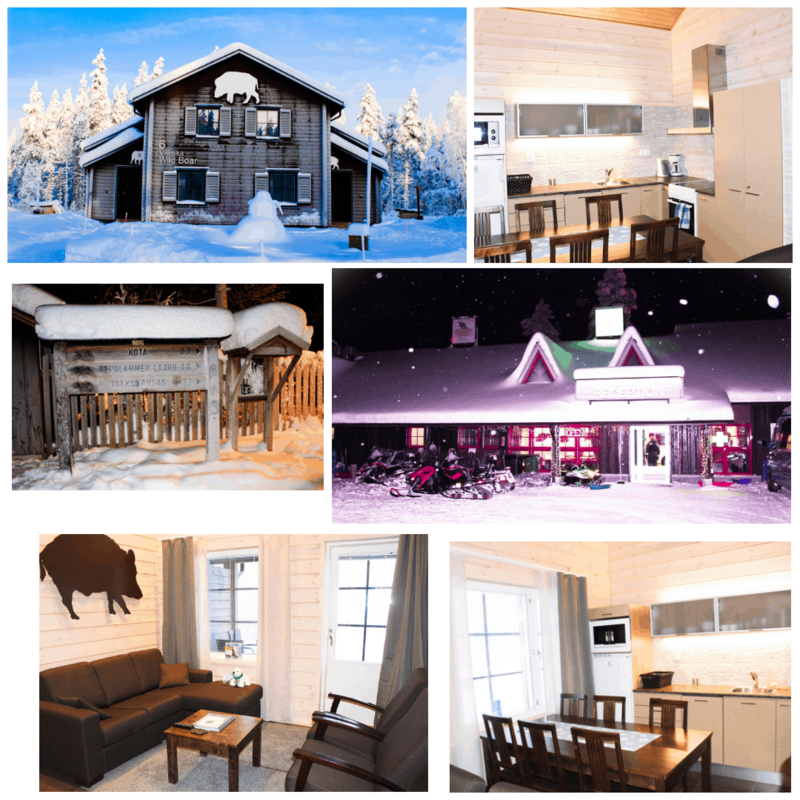 My second night was spent in the comfortable Lodge named Wildboar. Super comfortable as you can see in my photos below. I had my own large Sauna in the lodge and my own hot tub outside. This was heated up for me to use, which was a lovely experience! You will sleep really well after a day of activities outside in the snow. Make sure you pay 10 euros for a wake up call if the Northern Lights appear. I didn’t and missed the lights because I was fast asleep! However, missing the Northern Lights did not impact on the enjoyment of my stay! I enjoyed the magical winter wonderland very much indeed. All of my meals were absolutely delicious, with fresh beautifully prepared ingredients. 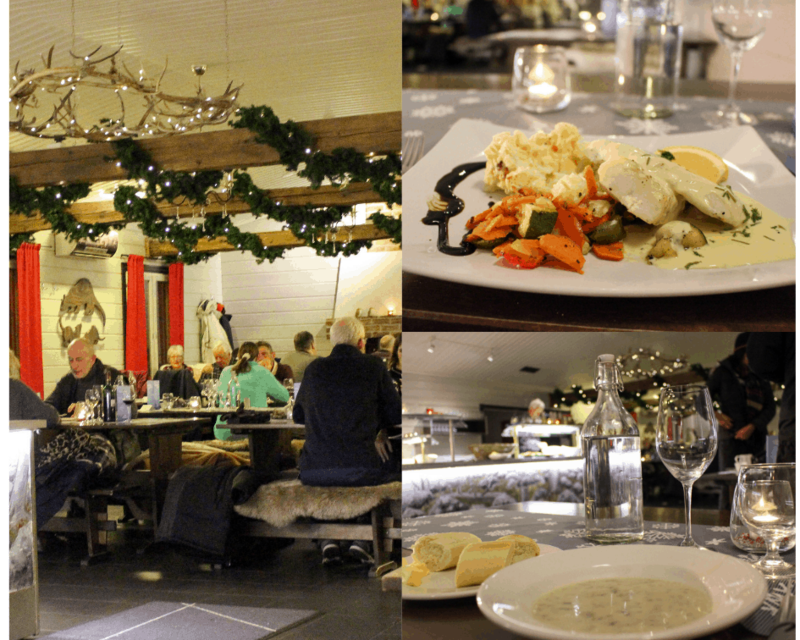 There was a choice of two main courses with soup or salad to start and delicious cake for dessert. Freshly made Coffee and homemade biscuits in front of a roaring fire with the horse munching on his hay in the dark forest was an amazing experience! Definitely do this if you visit Ranua! The staff arranged everything for me and they will do the same for you too! 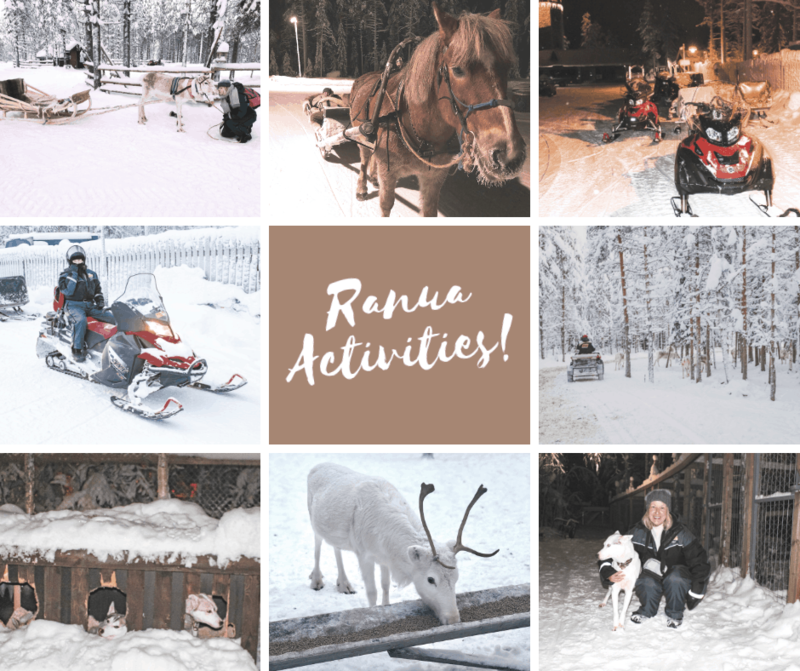 Choose from so many activities, Ice swimming, Ice fishing, Snowmobile Safari, Cross country skiing, Snow shoe hike, the Reindeer Farm, Husky Safari and Finnish Horse trip….. there are so many things to do! You can also visit the Arctic Zoo which is in the Wildlife Park. The weather is cold, albeit with a lovely dry, powdery snow! Ranua Wildlife Centre will provide you with absolutely everything you need for outer clothing. 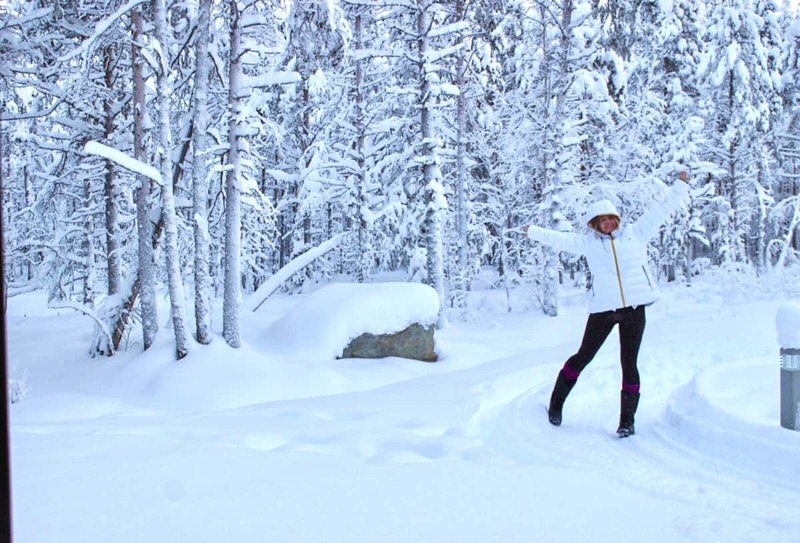 From socks, gloves, balaclavas, boots, snow suits, helmets…… you name it and they have it! Everything is beautifully cleaned and ready for you. My advice is not to waste money buying anything except Good Thermal vests and long johns, Ski pants, Cashmere sweater and tons of thermal socks! Use all of the equipment provided by the Centre. My ski jacket from home is made to wear up to -12 and was completely useless. I could wear it to walk to breakfast but was so thankful for the great padded suit provided for me. Yes, I looked like a walking Duvet, but who cares! 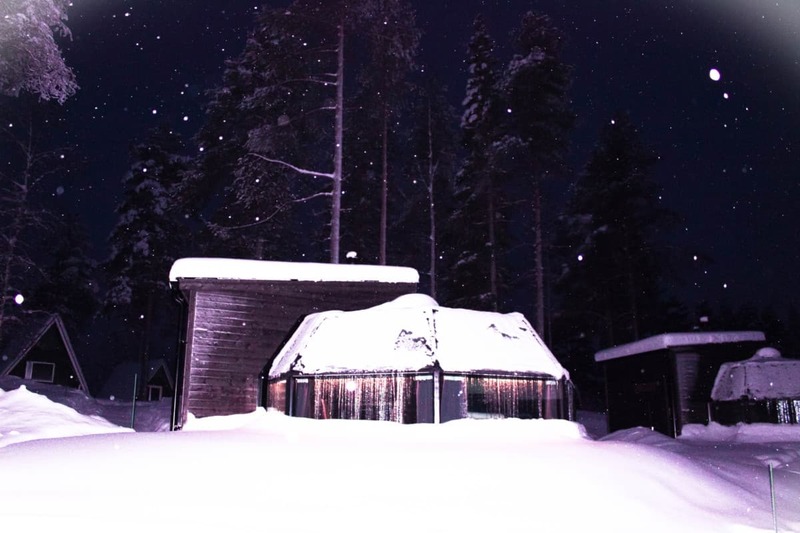 Tip: Stay in Summertime and enjoy a Lapland Summer holiday in a Glass Igloo or Lodge and it will be half the price of a winter trip! I flew from Gatwick London to Rovaniemi with Easyjet. Arctic Fox Igloos collected me from the airport and the drive was about an hour to Ranua. Next Post Designer Discount Outlet Shopping Tips!